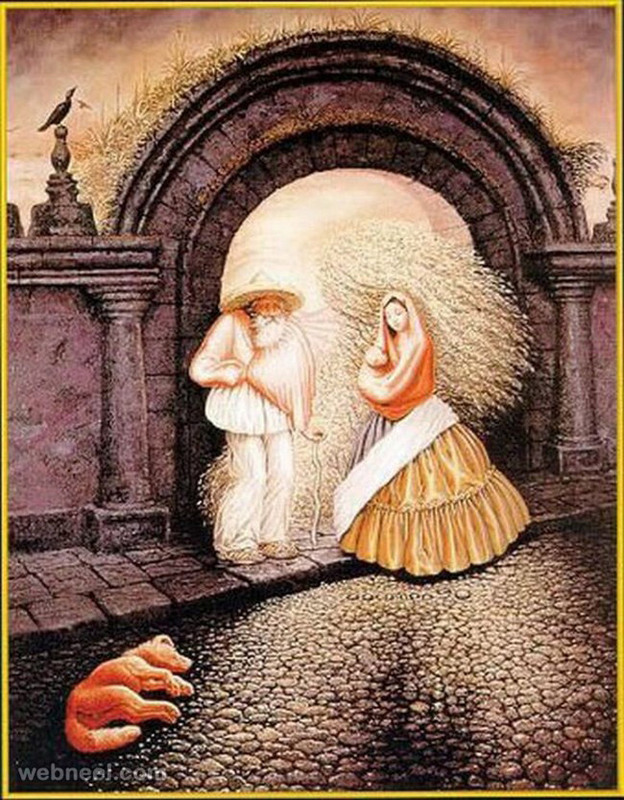 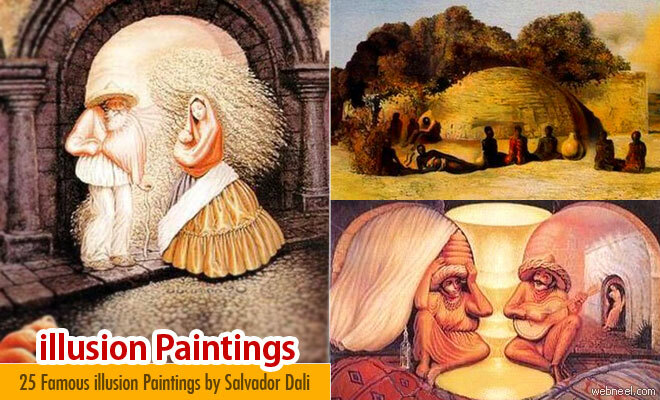 Salvador Dali Paintings: Salvador Felipe Jacinto Dalí Domenech popularly known as Salvador Dali is a popular surreal artist. 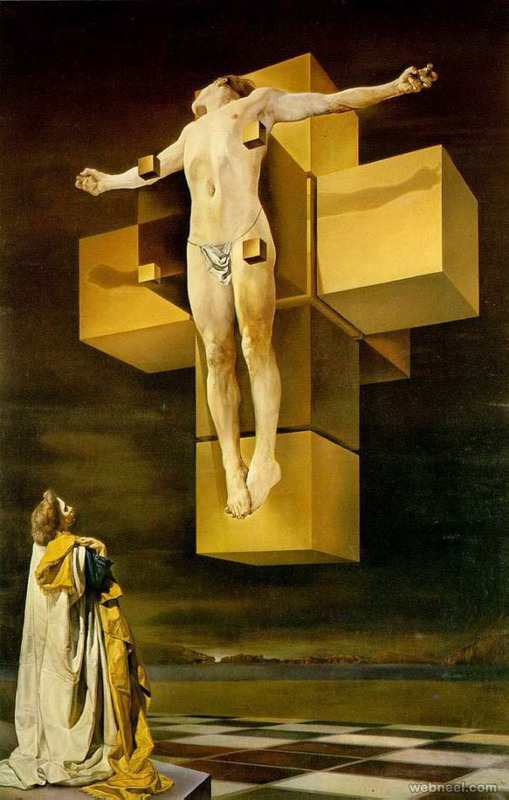 He was born in Catalonia, Spain on 11th May 1904. 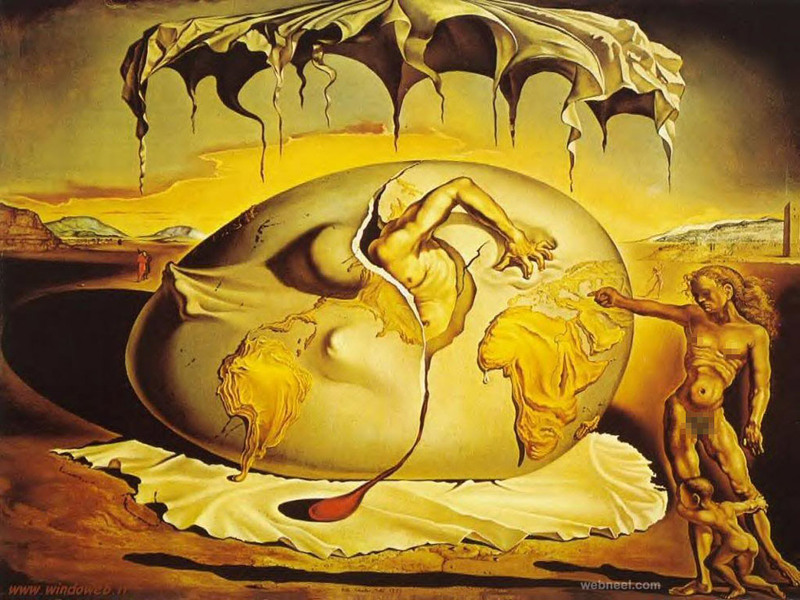 When he was a child, Salvador Dali showed great interest in painting and drawing, he initially started of with charcoal drawings and his father helped set up various exhibitions to show off surreal dali paintings. 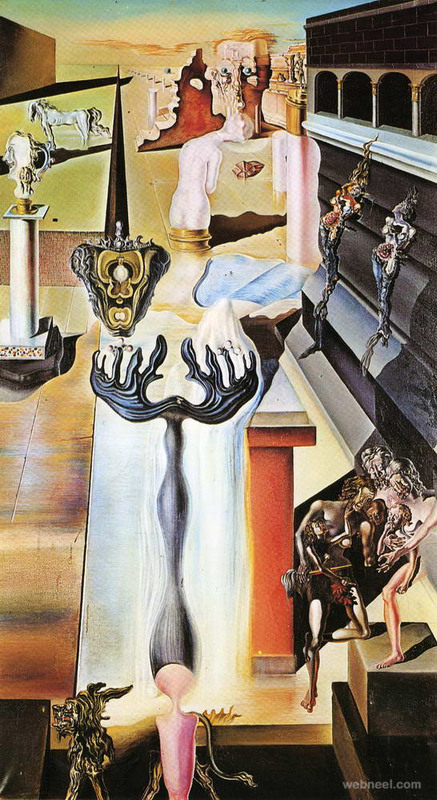 Even at such an young age, Salvador's paintings were highly sophisticated and in an act of support, his father built him an art studio. 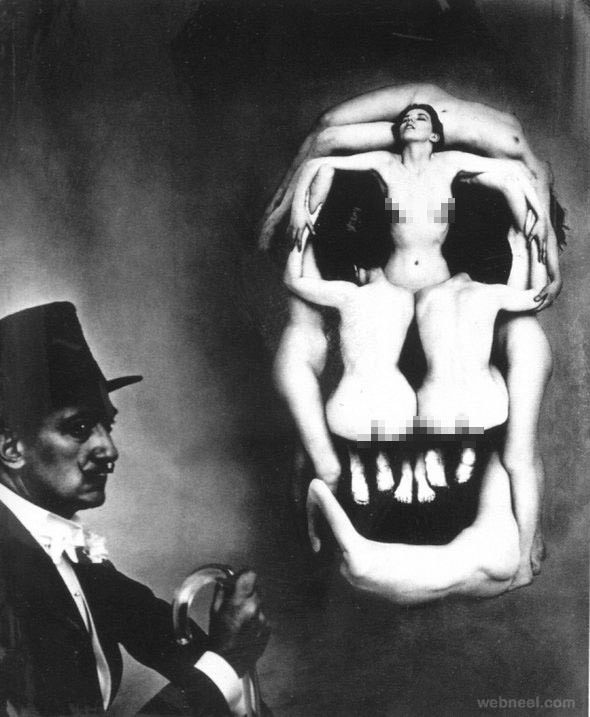 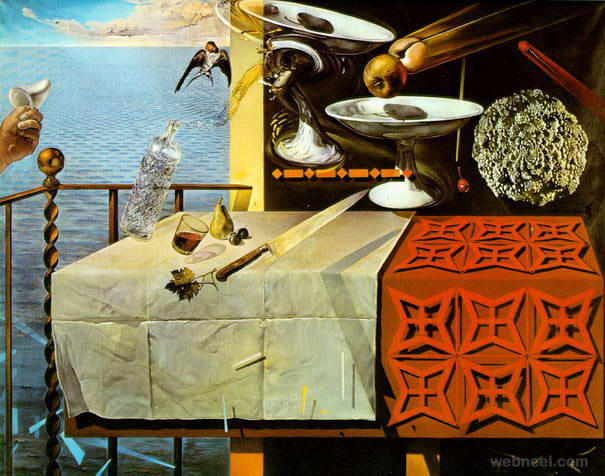 Salvador Dali graduated from San Fransisco School of Fine arts with a fine arts degree in the year 1922. 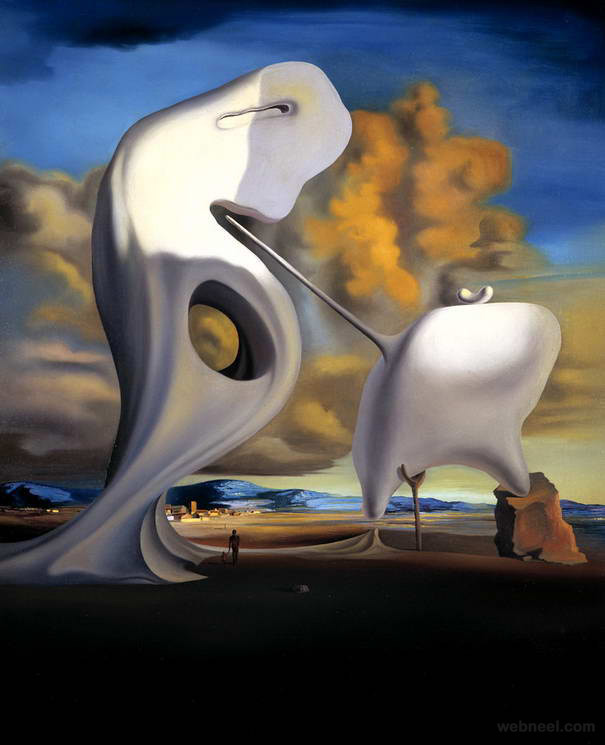 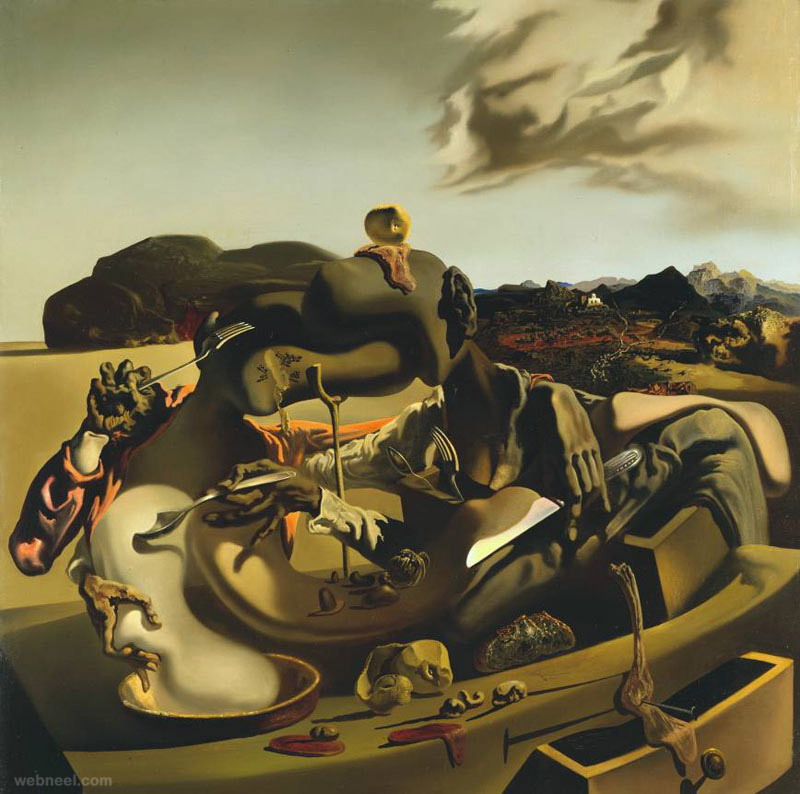 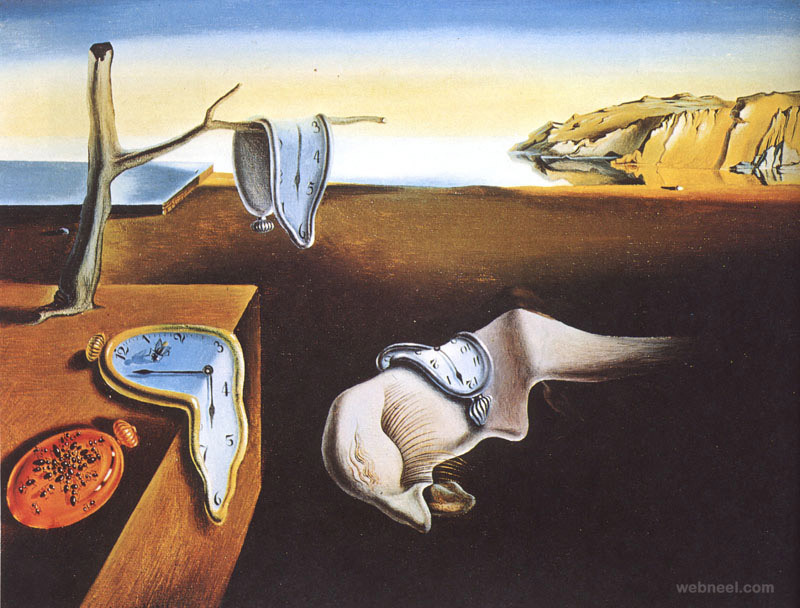 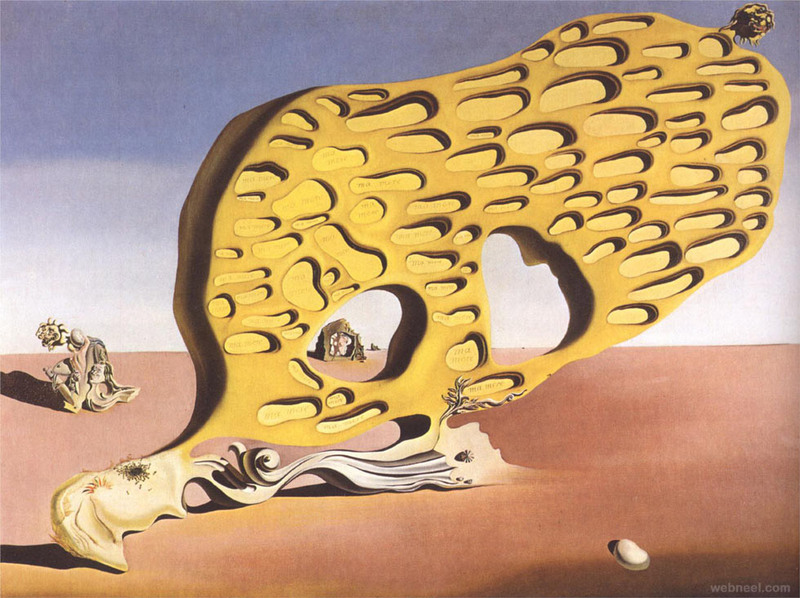 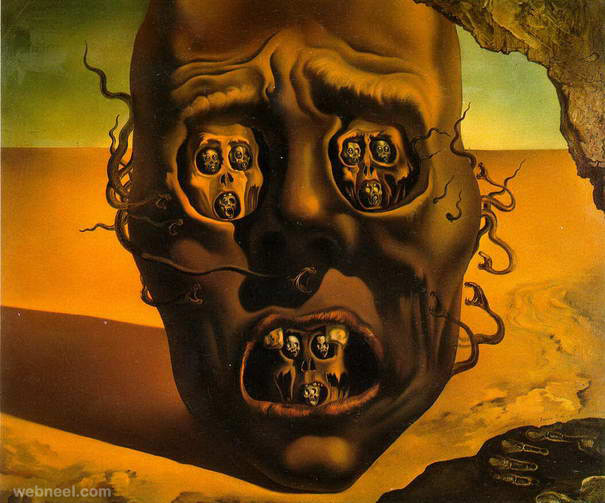 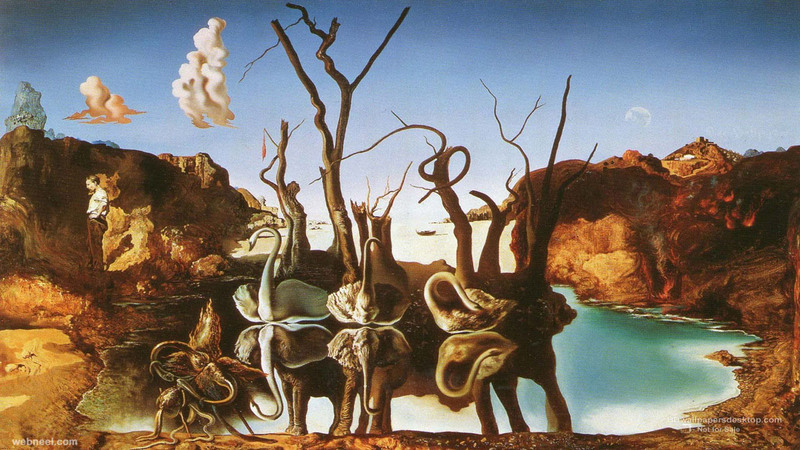 One of the famous salvador dali paintings were of the melting clocks. 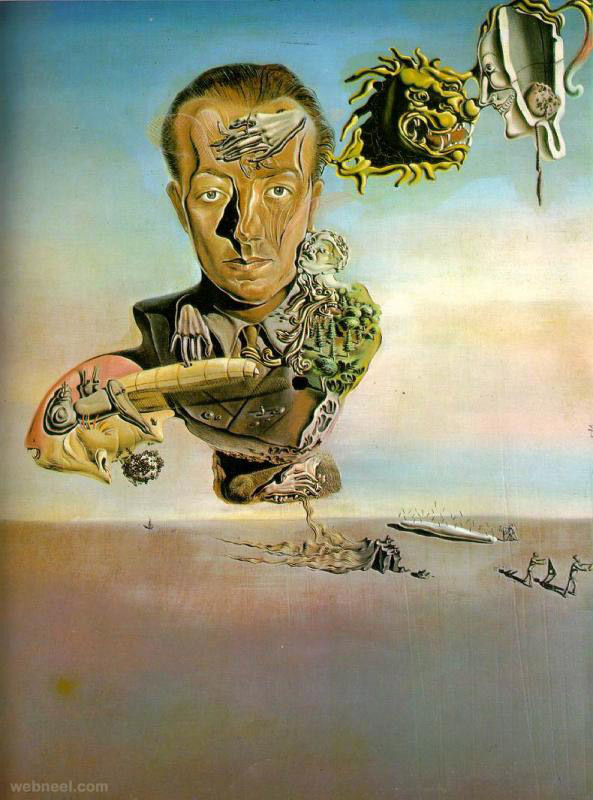 During the 1920's Salvador Dali went to Madrid, he had the chance to meet Picasso and other artists, which changed his focus to surrealism. 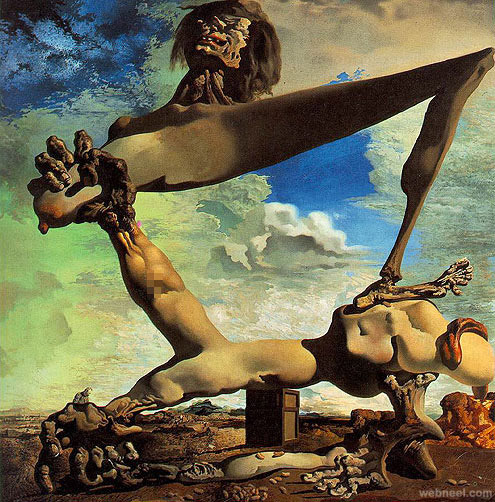 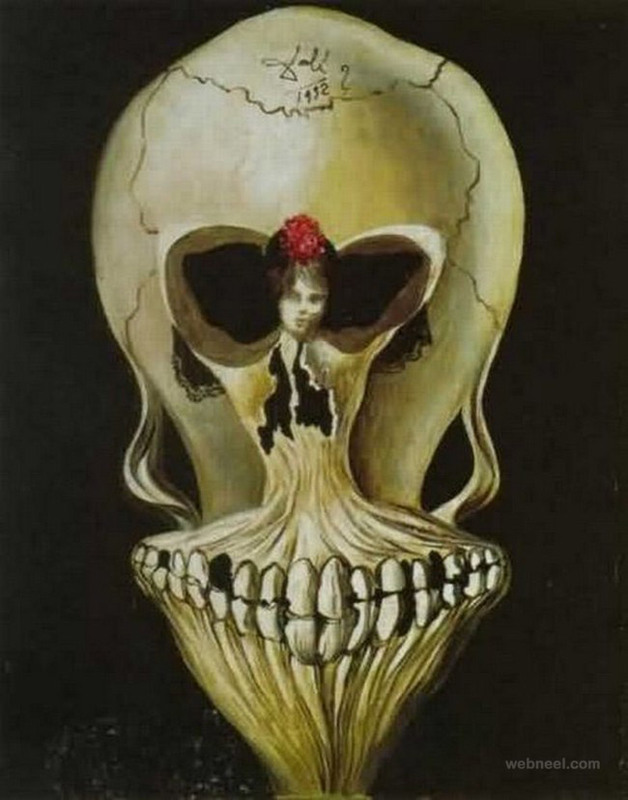 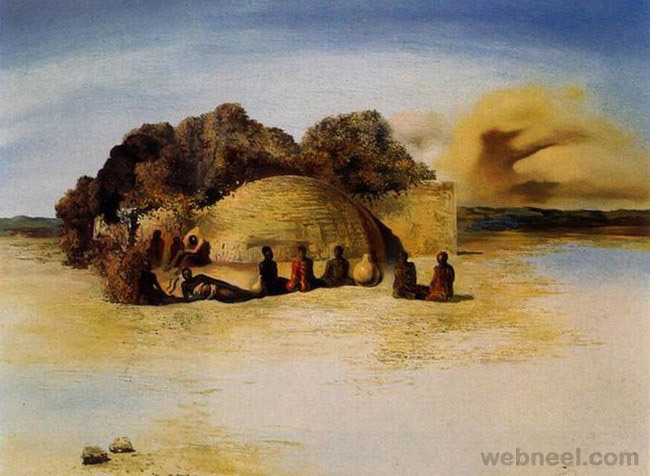 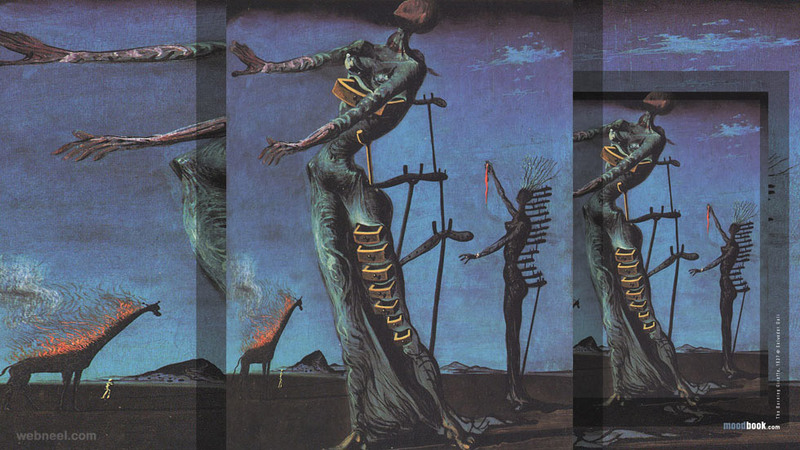 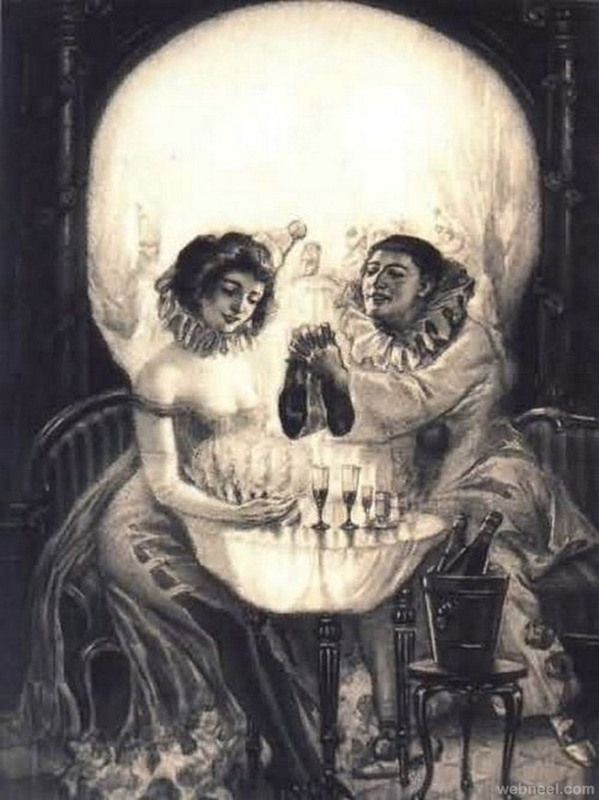 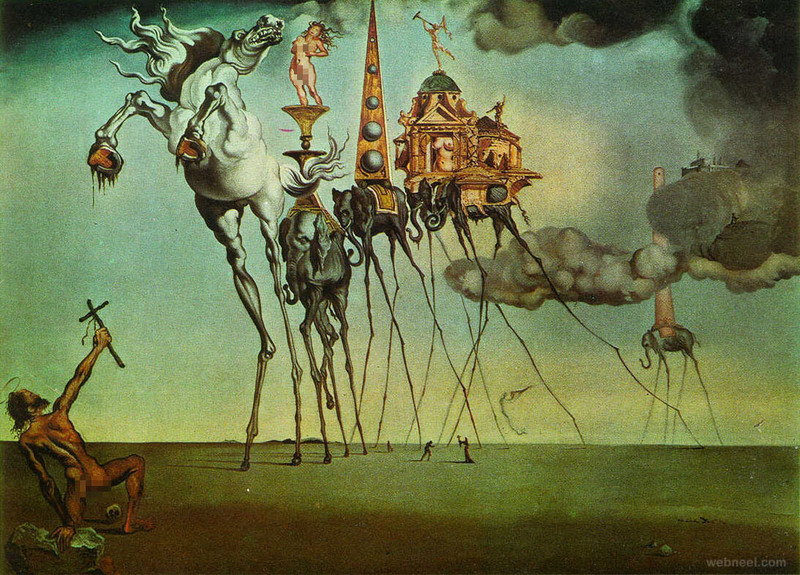 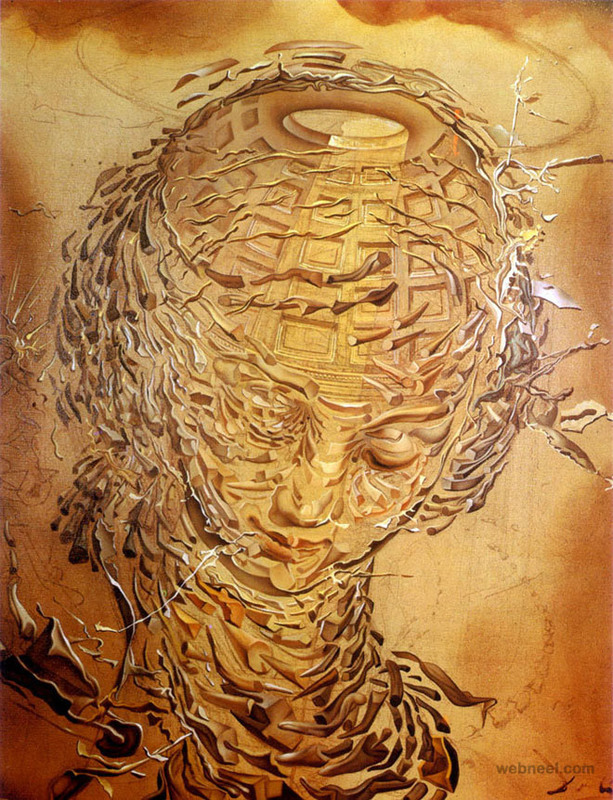 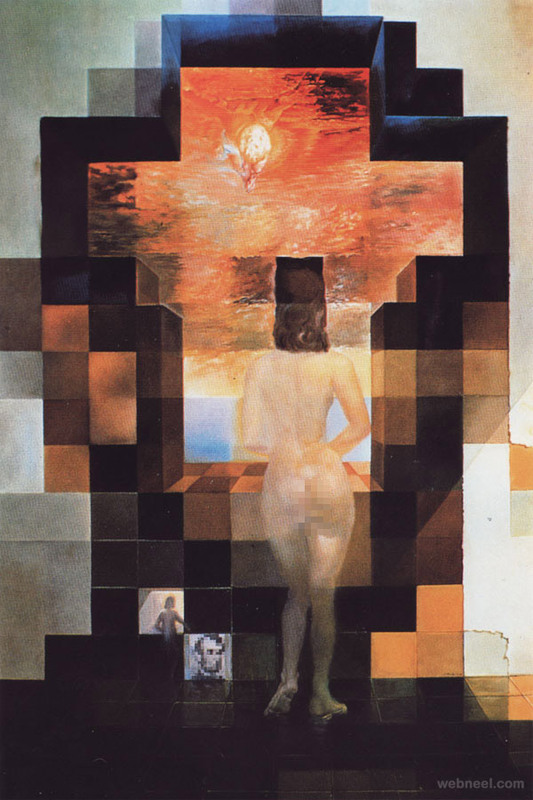 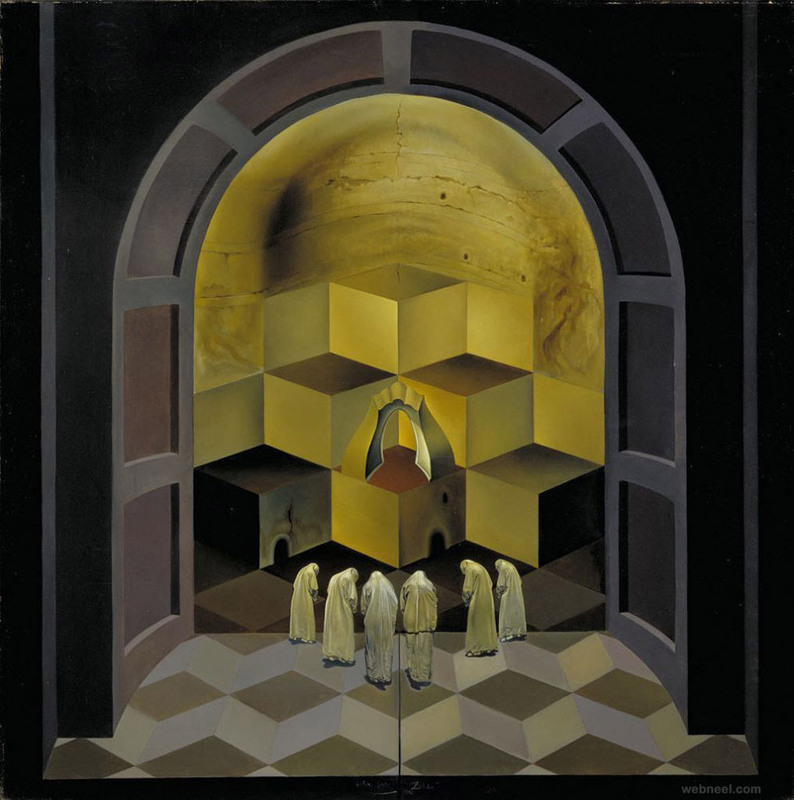 Here is a fantastic collection of Salvador Dali paintings and be amazed. 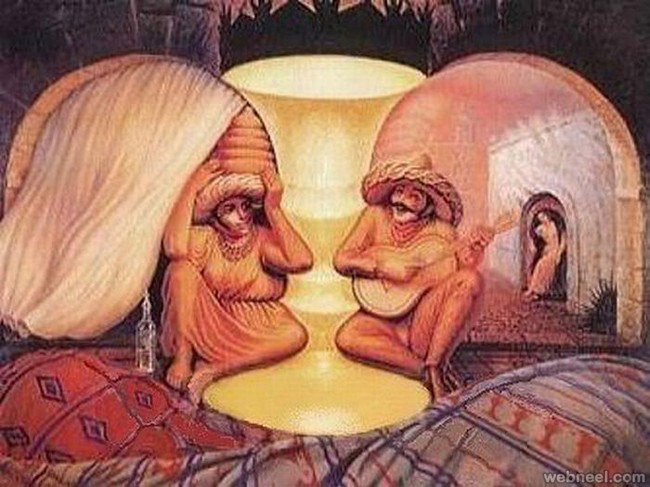 If you liked this post, please share them with your friends and visit our website for such amazing artworks.